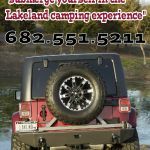 Ask fellow campers about "Lakeland RV Ranch and Campground" and nearby attractions. We stayed for a week [my rate reflects weekly rate + elect]. The park is very nice- horses, good dog park/agility course], ducks, etc. Convenient location in the countryside. Good Verizon cell phone service and ability to use satellite tv. Only complaint is the large rocks/gravel in the sites, which is very uncomfortable. I'm hoping that smaller gravel will be placed on top. Very friendly and helpful staff. And FREE washer & dryer. We would stay here again.... recommended!! 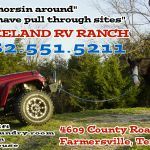 We camped at Lakeland RV Ranch and Campground in a Fifth Wheel. This is not a ranch. It is simply a few acres off the beaten path where someone squeezed together some electricity and water faucets. Appeared to be numerous full timers (who were super friendly). This park is not big rig friendly. It is more suitable for smaller trailers. We were told they had a pull thru so we made this park our destination for the evening. No pull thru. We had to unhook. The corners were so tight that the caretaker had to guide us around corners, parked vehicles and camper trailers. We will not stay here again. Internet was as slow as dial up. We camped at Lakeland RV Ranch and Campground in a Motorhome. 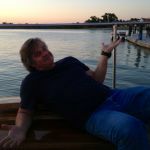 Really great owners and super location right next to Lake Lavon. The park is located off a pretty quiet road and you are within walking distance to the lake, which has boat ramps and beaches! The owners are really nice and they have horses at the back of the property! The downside is there are no big trees, it is all open. Easy to park, nice gravel. We camped at Lakeland RV Ranch and Campground in a Fifth Wheel. Farmersville is a cute town and McKinney is also close, which has nice restaurants and lots of shopping. 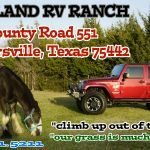 Are you affiliated with Lakeland RV Ranch and Campground ?